The first step reflects a fairly obvious point. It is hard to imagine anyone responding to Lehigh’s question *What if your kids were stuck in a poorly performing urban school? * that they want that for their kids. The second step is problematic insofar as Lehigh presents the issue as empirically settled. The reality is that this is contested, as much as proponents of charter schools would like you to believe otherwise. The third step is true, but not for the reasons Lehigh suggests: it’s not an issue of will to open charters in suburban districts, but a matter of demand. It is also a red herring. Putting all this aside, I am not sure how this argument gets us to the conclusion that we should support Question 2. For the argument to really work, Question 2 would need to be the only option for improving educational opportunities for systemically-disadvantaged youth of color. But this isn’t the case. There are other options available—even other possible options that involve charter schools. I’m thinking of reports put together by community activists, like this one, that look for ways to build partnerships between communities and education reformers from the ground up. And I stick by the claims I made in an earlier column that Question 2 is not a referendum on charter schools, but a referendum on a particular policy about charter schools. So whether charter schools are great at providing better opportunities is only partially the question Massachusetts citizens need to consider; it is really whether or not opening up to twelve new Commonwealth Charters, per year, forever, is the best way to ensure the growth of quality schools and systems across the state of Massachusetts. As an aside, I would also quibble with Lehigh’s presentation of the conflict as suburban opposition and urban support, a fast and loose characterization of the ballot question I have encountered a number of times. There are Bostonians who support Question 2 and Bostonians who do not. There are systemically-disadvantaged families who might sign up their children for every charter lottery in the city but oppose Question 2 because they would prefer a better neighborhood school as part of traditional public school system. There are Boston families who support Question 2 but would never sign their children up for a lottery. There are suburban supporters and opponents of Question 2 with different views on charter schools in general. Homogeneity of opinion based on social geography is just plain false in this case. Question 2 is not a case of Boston versus the rest of the state. Returning to Lehigh’s argument, my point is this: starting from what Lehigh characterizes as Rawlsian reasoning does not secure an answer to whether one should support Question 2 or not. And the argument he offers does not really work, either. It elides a particularly important consideration to have its intended effect. By invoking John Rawls, Lehigh may also have bitten off more than he can chew. This is because Rawls’s theory of justice is not intended to answer the sort of questions that Lehigh poses. By invoking John Rawls, Lehigh may also have bitten off more than he can chew. This is because Rawls’s theory of justice is not intended to answer the sort of questions that Lehigh poses. Rawls designed the veil of ignorance as part of a thought experiment to derive moral principles, not evaluate specific policies. His theory deals with justice at a very general level. 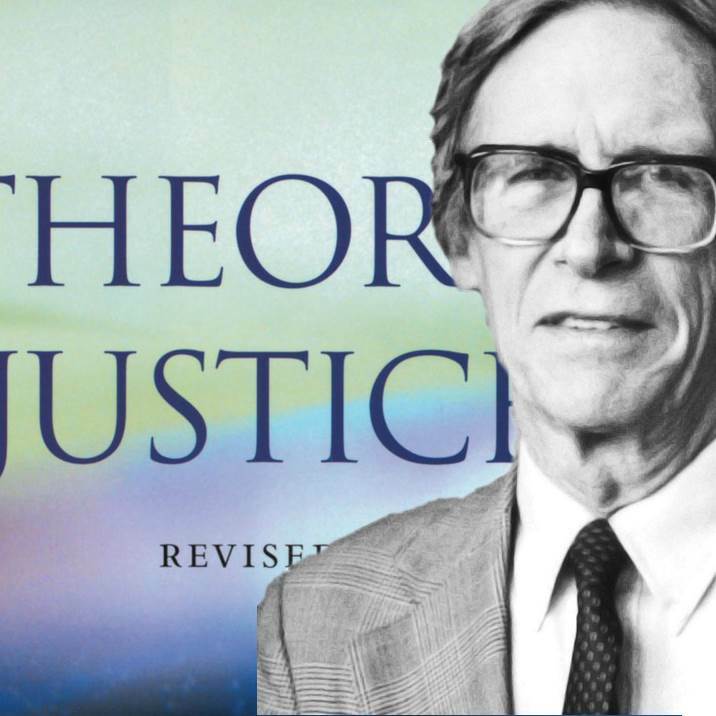 Rawls argues that those behind the veil of ignorance consider justice only as it applies to the *basic structure* of society, as he puts it: *the way in which the major social institutions distribute fundamental rights and duties and determine the division of advantages from social cooperation* (A Theory of Justice, 3). He is concerned with what principles would define the basic structure of a society as a whole—not just schools, but political institutions, economic institutions, etc.—to be just. That just sounds vastly different from a question like Lehigh’s *What if your kids were stuck in a poorly performing urban school? * In short, it seems odd to invoke Rawls’s veil of ignorance as a way to reason through this question, when Rawls never meant the veil to do that sort of work. In fact, in the Rawlsian thought experiment, the deliberators actually *know* more and more about their society as they move from choice of principles to a political constitution, to choosing particular political structures. In other words, as the deliberators get closer to making real policies, the veil retracts. I mention this to show that Lehigh’s argument is on shaky conceptual foundations to begin with, as he basically cherry picks from Rawls what will best support his argument for Question 2. If we really want to talk about putting self-interest aside, let’s pony up and recognize that the challenges facing our state’s urban schools are challenges for all of us in Massachusetts. Question 2—as a particular policy—may claim to take this sort of view, but it leaves bigger issues of justice like those that interest John Rawls off the table. What if we just take Lehigh’s more basic point, namely, that if we put self-interest aside, supporting Question 2 is the logical outcome? If we put self-interest aside in the way Rawls wants, then I think a lot more than expanding charter schools is put on the table. Educational justice is no longer simply about expanding the number of charter schools in underserved urban communities. We have to look at Massachusetts’ educational structure in general, at the very least. Here are two things that come to mind immediately if we start to take a more general view: impermeable district boundaries that scholars argue contribute to segregation by race and class or differential funding between districts based off of local tax revenues—in other words, some of the foundational policies that determine the structure of our public educational systems. Thus, if we really put self-interest aside, we might be demanding a very different educational system than what we have now—a system that may have little to do with both charter schools and traditional public schools as we know them. That’s why Lehigh’s characterization of Rawls is so misleading. It is not just that Rawls did not mean his thought experiment to work for such particular cases, it is also that invoking Rawls challenges real fundamental elements of our social, political, and hence educational systems. I think it is time to retire the argument that those who oppose Question 2 do so because they are self-interested or do not care about educational justice. It is just not true. Many people who put the funding issue on the table do so because they think that without addressing funding, Question 2 basically puts the burden for reforming Boston’s schools onto Boston (and similarly for other Massachusetts cities). 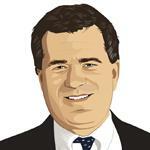 It is Boston’s (and Springfield’s, and Lawrence’s) municipal budget that will take the hit. It is the Boston Public School district that will face closures and budget cuts. But, as Lehigh notes, suburbs and rural areas across the state will likely not experience much change at all. If we really want to talk about putting self-interest aside, let’s pony up and recognize that the challenges facing our state’s urban schools are challenges for all of us in Massachusetts. Question 2—as a particular policy—may claim to take this sort of view, but it leaves bigger issues of justice like those that interest John Rawls off the table. In fact, Question 2 seems a lot more like more of the same: let Boston handle Boston’s educational challenges—and there is a long, unflattering history of doing just that in this state. Such an attitude will not move us toward the sort of just society Rawls envisioned. Jacob Fay is a doctoral student and member of the Early Career Scholar Program at the Harvard Graduate School of Education, as well as a graduate fellow at the Edmond J. Safra Center for Ethics. He is the co-editor, with Meira Levinson, of Dilemmas of Educational Ethics: Cases and Commentaries. Prior to his doctoral studies, he taught eighth-grade history at the Dwight-Englewood School in New Jersey. Follow him on Twitter at @Edulosopher. Ahh I see! This was my mistake. Jese, how did that get in there??? Jack was born in Baltimore and educated in the US (though he did study at Oxford after getting his doctorate at Princeton). It is surprising that a Harvard philosopher would think that he was British. I agree. Who does he think he is? This is a colossal misinterpretation of a Rawls example in service of a systematic exploration of the principles a society may choose in determining the moral principles from which it derives a conception of justice. It was not intended as a tool to resolve particular questions of distributive justice. Indeed, the “ignorance” mentioned by Rawls is not advocated as an inherent virtue but rather as a hypothetical proposition on which to advance an argument loosely along the lines of game theory. Rawls himself was surely American and a Pacific theater veteran of WWII. He advanced a Kantian systematic approach to understanding the foundations of justice through the lens of a 20th century American who had seen it all. That Mr. LeHigh would make public such a dim misinterpretation of Rawls, in Rawls’ own backyard, when he was surrounded by an abundance of written and living resources to correct his errors should be considered a great embarrassment to him and the Boston Globe. Students of philosophy usually make their errors in much less public forums in addressing issues that matter to no more than a handful of scholars. In this moment, Mr. LeHigh has given scholars in this field something they rarely experience: an opportunity to collectively plant their palms upon their faces and mutter curses. It is not my point that philosophy is irrelevant to questions of public school organization and funding. For example, in the 6th wealthiest US county, Douglas County, Colorado, a group of people unified in their allegiance to Ayn Rand’s philosophy of radical selfishness have literally taken over the local school board and school administration. They have explicitly taken the position that all public schools should be replaced by vouchers and charter schools and left unfunded about a billion dollars of local revenue needs over the next decade. Now while you may argue that Rand is not any kind of serious philosopher, the adherents of her worldview translated her precepts into radical, nihilistic policy-making and literally destroyed a functioning school district in the cushiest of white bread Denver suburbs. And you thought studying philosophy was a waste of time. Thanks for this very satisfying comment. And I’m interested in knowing more about what’s afoot in DougCo. I’ll be in touch! Very interesting. Invoking John Rawls should mean asking something like “What kind of educational system would you design if you had no way of controlling where in that system your own children would end up?” And I think most parents wouldn’t want their children “stuck” in a charter system any more than they would want them “stuck” in a low-performing school. Yes, many parents want a choice about where their child goes to school. But what if you don’t win the lottery at your favored school and are stuck with the McDonald’s of charter schools? What if you do win the lottery but then the school your child goes to closes and you have to find another? What if a school won’t enroll your child because they don’t have the resources to serve children with his/her particular disability? What if the school will enroll your child but it turns out not to be at all like what was marketed to you? When wealthy parents choose a school for their children — whether it’s a private school or a well-resourced public school — they are choosing quality, stability, and a voice/vote through school board or board of directors elections. Imagine moving to a great school district and then finding out that owning a home there wouldn’t guarantee your child a seat in that school — you’d have to enter a lottery, and if you didn’t get lucky, you would have to choose between two underperforming charter schools in a working-class neighborhood 5 miles away. The schools might or might not be closed if their test scores don’t improve. Also, they might or might not stay open, depending on whether their management organizations continue to stay in business. But you can choose the one you want. I think at that point you’d be wondering why you spent all that money on a house when it didn’t guarantee the educational experience you wanted for your children. There are some terrific charter schools, and some terrible ones, and some mediocre ones. The same is true of district schools. Through the veil of ignorance, I don’t want a choice between two terrible schools, or a terrible school and a mediocre school. I want to be guaranteed, or to be able to guarantee my children, a good school that won’t close. So what are the policies that maximize the chances that any parent will be able to do that?